Whatever Christian conversion exactly is, essential to it is the idea of a moral change or renovation. 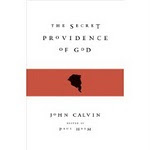 This is so whether conversion is thought of, more narrowly, as the change effected at the inception of the Christian life, or as a life-long process of renovation, conversio in the sense used, among others, by John Calvin. Conversion, widely or narrowly thought of, is not simply a change in belief, not that nor primarily that, but a change in the status and character of the one converted. In the Reformed, evangelical understanding of conversion Word and Spirit cooperate in effecting this change in status and in conversio, in justification and sanctification, to give them their more conventional theological descriptions. In this paper I should like to explore the moral side to conversion and to set out two models of this aspect of conversion which have been widely influential in the history of the Christian church but which, as I shall argue, are at fundamental odds with each other. I use the word 'model' deliberately: this paper is not a historical analysis, and though I shall make reference to some influential historical figures, I shall not attempt in any way to discern the impact of these two models on actual people and communities. So 'model' here is being used in the sense of 'ideal type'. These two models of moral renovation have (as I shall try to show) importantly different implications for reasoning about ethics, preaching, pastoral care, education, and so on. To begin with, I shall endeavour to place the models in a wider theological framework, a framework about the understanding of personal justification or 'acceptance' before God. For not only do the two models have widely different consequences, they also have different premises or presuppositions, theological presuppositions, presuppositions about salvation, more precisely about justification. I shall argue that these two understandings give us two distinct and incompatible understandings of word and spirit in conversion. I freely grant that these understandings are often tacit, a set of unspoken assumptions, and I am aware that if these assumptions were made explicit and conscious this would not necessarily be in the terms that I shall use in what follows. The ground or basis of justification is whatever it is that secures a person's acceptance with God. In the thought of the Christian church there have, broadly, been two theories or accounts of what secures such acceptance. These are that acceptance is or essentially involves the infusion or acquisition of personal righteousness, involving a moral change in the one acccepted. I shall call this the moral or internalist sense of justification. The other is that acceptance is essentially a change in status, the declaring of the one justified to be pardoned and righteous. I shall call this the forensic or externalist sense of acceptance. It is sometimes claimed that these differences are merely semantic, that in the infusion sense of acceptance or justification, justification (in the forensic sense) and sanctification are rolled together, whereas on the other view they are kept separate and that once we understand the point we shall see that the Reformation conflict was nothing more than an argument about a word. Unlike some such as C. Stephen Evans , and Richard Swinburne, I do not think that controversy over the meaning of justification that was integral to the Reformation conflict is now to be thought of as mere strife about a word, as logomachy. It is said or implied by such a suggestion that the classifications of the realities are different - one party conflates justification (forensic sense) and sanctification while the other does not - but that the realities themselves are one and the same. If these different uses of justification were merely different ways of saying the same thing, then to strive about which description is better might well be logomachy. If we argue about how many gallons are in the tank because you are measuring in American gallons and I in Imperial, this is a strife about words. But not if we differ about the actual amount of petrol. It is true that there are semantic differences, differences over what 'justification' means, but they are not merely or wholly semantic. The realities cannot be changed by changing the meaning of the word. Each account of justification attempts to answer the question: what is it that secures a person's acquittal before God and his acceptance by God? And each gives two sharply different and indeed incompatible answers to that question, calling their different answers by the same name, 'justification'. So there is a substantive, normative issue between the two views. For if justification is what secures acceptance with God then the two accounts of justification offer two different answers of what acceptance consists in. And if what secures acceptance with God is an important matter, as presumably it is, then these real differences are also important differences. I shall take a little time sketching the theory of acceptance on the basis of infused or personally acquired righteousness. The basic idea is that a subjective moral change in a person is necessary for the acceptance of that person, so that this change is an essential part of what acceptance means, it is intrinsic to what acceptance is. So that no one is accepted who is not, as an intrinsic part of that justification, morally changed. Here are some representative statements of such a view, statements containing important differences but having the same essential outlook as far as their implications for conversion are concerned. (T)he alone formal cause (of justification) is the justice of God, not that whereby he himself is just, but that whereby he maketh us just, that, to wit, with which we, being endowed by him, are renewed in the spirit of our mind, and we are not only reputed, but are truly called, and are just, receiving justice within us, each according to his own measure, which the Holy Ghost distributes to every one as he wills, and according to each one's proper disposition and cooperation. By the formal cause of justification Trent refers to what it regards as the true basis of justification; that which is the form of justification, which forms it, that which causes it to be what it is. Trent says that the formal cause of justification is God's justice making us just, renewing us in the spirit of our mind, having justice within us distributed to us by the Holy Ghost according as we are disposed to receive it and to cooperate with him. Christ's righteousness is not imputed to us for justification directly and immediately; neither can we be justified by our own righteousness: but our faith and sincere endeavours are, through Christ, accepted instead of legal righteousness: that is we are justified through Christ, by imputation not of Christ's, nor of our own righteousness, but of our faith and endeavours of righteousness, as if they were perfect: and we are justified by non-imputation viz. of our past sins and present unavoidable imperfections. For the whole Gospel is nothing else but that glad tidings which Christ brought to all mankind, that the covenant of works, or exact measures, should not now be exacted, but men should be saved by second thoughts, that is, by repentance and amendment of life, through faith in the Lord Jesus. That is, if we become disciples (for that is the condition of the covenant, we shall find mercy, our sins shall be blotted out, and we shall be saved if we obey heartily and diligently, though not exactly. I do not claim that these quotations from Jeremy Taylor represent faithfully (or unfaithfully, for that matter) something called the theology of Jeremy Taylor. Nor do I claim that they mean exactly the same as the Council of Trent. But, like Trent, they clearly express a doctrine of justification by infused or personally acquired righteousness, by repentance and amendment of life, hearty and diligent obedience. A person is justified by having such righteousness. Justification consists in that repentance and amendment of life which comes through faith in the Lord Jesus. And that the Law of Grace being that which we are to be judged by, we shall at the last Judgement also be judged (and so justified) thus far by or according to our sincere Love, Obedience, or Evangelical Works, as the conditions of the Law or Covenant of free Grace, which justifieth and glorifieth freely all that are thus Evangelically qualified, by and for the Merits, perfect Righteousness and Sacrifice of Christ, which procured the Covenant or free Gift of Universal Conditional Justification and Adoption, before and without any Works or Conditions done by Man Whatsoever.....If this be Justification by Works, I am for it. As is usual with Baxter, all is not clear, but what he seems to be saying is that the work of Christ procured salvation on 'easier terms' than previously obtained under the law and that these easier terms are or include our sincere love, obedience and evangelical works, deeds done out of love for Christ and in obedience to him. Not altogether dissimilar from the thought of Jeremy Taylor, you may think. Man may then hope to become acceptable to God (and so be saved) through a practical faith in this Son of God (so far as He is represented as having taken upon Himself man's nature). In other words, he, and he alone, is entitled to look upon himself as an object not unworthy of divine approval who is conscious of such a moral disposition as enables him to have a well-grounded confidence in himself and to believe that, under like temptations and afflictions......he would be loyal unswervingly to the archetype of humanity and, by faithful imitation, remain true to his exemplar. This is perhaps not altogether clear, in that Kant here has in mind not merely acceptance but the assurance of acceptance. But the ground of such assurance is confidence in oneself and one's own abilities to maintain loyalty and fidelity to Christ our great exemplar. And it is clear that for Kant such abilities are acquired rather than infused. And finally, from the 20th century, Richard Swinburne. What is needed for salvation (in addition) to beliefs is a basically good character, that is, a mind full of good purposes, set to bring about good results as opportunity arises, to guide the beliefs on which one acts. At least, this puts Swinburne in the internalist camp if by 'salvation' he means 'acceptance'. What all these positions hold in common, despite their undoubted differences, is the idea that justification, acceptance with God, depends in part or in whole on either a person's character (as in infused righteousness) or on a person's conduct, as in Baxter's reference to sincere love, obedience and evangelical works, or Kant's reference to a person's confidence in himself and his abilities to loyally follow the Master. From a bare, spare logical point of view, this cluster of theological positions has one thing in common, the idea of conditional acceptance. Acceptance with God - however we fill in the theological details of this - depends upon something the one who is accepted has done or has to do, even if the power to do what he has to do is infused by God's power, as in Augustinianism. Not until what has to be done has been done is acceptance with God assured and complete. And if what has to be done is never complete then (presumably) assurance of acceptance is never complete either. We could state the essence of this position as follows. Justification, acceptance with God, is or involves a process of moral growth. A person can thus be more or less justified, her justification or acceptance can grow and increase, she can be more justified tomorrow than today as her obedience and loyalty to Christ grow. And what seems equally possible, and of some importance, she may be less justified tomorrow than today, according as her sincere obedience, her fidelity to the example of the Master, grows or diminishes. Whether, having begun on the path of justification, she can so falter as to make herself no longer justified, looks as if it might be a tricky matter to discover, but one which (happily) we need not get ourselves involved in here. If justification is the end of a process to which an individual contributes in acquiring virtue, (even though the infused grace of God may enable him to make the contribution) it is presumably an attainable end. How then is it to be attained? The answer must be: by whatever methods are appropriate to make the inherent righteousness that is needed for justification actually inhere. What are these methods? Presumably, whatever methods are judged appropriate to secure obedience. Among these will be exhortations (from preachers and others) to lead a holy life, denunciations of personal evil and shortcoming, the portrayal of moral evil as something to be avoided, and moral good as something to be aimed at, together with motivations to penitence and to renewed resolve in the light of any failure, on penalty of not being accepted with God. Also of importance will be the attention given to examples of those who by their moral endeavours have through God's goodness finally triumphed, and of those who by their lack of moral endeavour have failed. Preaching, on such a view of justification, and religious and spiritual education more generally, will have inspirational and minatory aims. In these endeavours, at least in a Christian context, the moral examples of biblical heroes, of such as Abraham, Moses, Samson and David, and supremely the moral example of Jesus Christ, will have a central place. 'Jesus was good: be like Jesus' will epitomise the approach. So emphasis falls, in the Christological focus of such views, on the teaching and example of Jesus Christ. In those theologies in which virtue must be personally acquired in order for justification it seems natural for such views to go along with exclusively exemplarist views of the atonement. In those theologies in which justifying grace is infused, Christ may be seen as the one who has meritoriously procured and donated such grace. On the moral view the chief purpose of the word in conversion is to provide a resource for drawing out morals for the Christian life, and it sees things this way because acceptance, justification, is a moral matter. Or it is seen as a vehicle which together with the infused grace of God, promotes growth in virtue. Acceptance is through moral effort, even though (as In Augustinian versions of the model) this moral effort may be solely the product of divine grace. So the moral structure of the Christian life, on the internalist view of justification, is simple. It has a purposive, means-end character: obedience is the means to the end of justification, acceptance with God. So justification, acceptance, requires a change of character, a process in which a person is morally renewed. Justification is what a person comes to have more of as he or she acquires more virtue. And so the place of moral renewal in justification is easy to specify, since justification is moral renewal, or at least moral renewal is essential and intrinsic to it. In his Nicomachean Ethics Aristotle famously claimed that 'we become just by doing just acts, prudent by doing prudent acts, brave by doing brave acts.' And a large part of a person's ethical requirement, according to Aristotle, is to mould his desires by imitation and habit. So that as moral agents we should be concerned to acquire and to foster the correct, virtuous dispositions. This required Aristotle to give an account of human nature, its telos, and of those dispositions which provide the best means to the achieving of that telos, in the achieving of which true happiness, fulfilment, success, consist. The appropriate virtues, for Aristotle, are prudence, courage, temperance and justice. Here I am not concerned with the Aristotelian virtues as such, but with the Aristotelian idea of acquiring a virtue, or a disposition, a habit of the mind. On this view, what is latent in the human character has to be made patent. The stress is on continuity. Adapted to the Christian view of conversion, the moral change in conversion is a makeover, like giving the living room a new coat of paint. The room is converted as more and more of the paint is applied, until all the walls are adequately covered. If we say that moral renewal, conversion, consists in acquiring the appropriate virtues, then Aristotle's view requires human beings to have the power to acquire such virtues, to have the appropriate dispositions, though there are significant obstacles in the way of exercising these dispositions, notably weakness of will. It is easy to see how this idea of acquiring a virtue, or acquiring virtue, is to be mapped on to the idea of word and spirit in conversion that we have just been considering. Perhaps in something like the following way. The seeds of virtuous habit are either innate (as in more Pelagian versions of this model) or (as in sacramental views of grace, and more Augustinian versions) they are infused into us by God at baptism and renewed and reinvigorated in the Holy Communion and through preaching. If innate, the virtuous dispositions become the subject of life-long moral development, and Christian justification is seen as that development prompted by and energised by the word of the gospel. If the spark of virtuous activity is infused at baptism and is supernatural, but similarly latent, the virtues are to be fanned into flame, and kept burning, by the sacramental and moral provision of the church. No doubt there are many reasons for thinking of justification as consisting in lifelong moral renovation, but one reason that seems to recur is a fear of antinomianism, a fear of disorder if justification before God is external, simply consisting in forgiveness and in the imputation of Christ's righteousness. If justification is by faith alone then should not the answer to the Apostle's question, 'Shall we continue in sin that grace may abound?' be 'Of course!' We shall have this fear of disorder in mind in what follows. As we now look at the externalist position I shall aim to show that the proponents of this view of justification have an answer to the charge of antinominism or disorder where this is understood as a claim about the logical consequences of the forensic or externalist view of justification. We are accounted righteous before God, only for the merit of our Lord and Saviour Jesus Christ by faith, and not for our own works or deservings. The righteousness where in we must be found, if we will be justified, is not our own; therefore we cannot be justified by any inherent quality. Christ has merited righteousness for as many as are found in him....although in ourselves we be altogether sinful and unrighteous, yet even the man which in himself is impious, full of iniquity, full of sin, him being found in Christ through faith, and having his sin in hatred through repentance, him God beholdeth with a gracious eye, putteth away his sin by not imputing it, taketh quite away the punishment due thereunto, by pardoning it; and accepteth him in Jesus Christ, as perfectly righteous, as if he had fulfilled all that is commanded him in the law. The righteousness of Christ (as in his obedience and suffering for us) imputed unto believers, as they are united unto him by his Spirit, is that righteousness whereon they are justified before God, on the account whereof their sins are pardoned, and a right is granted them unto the heavenly inheritance. So on this account justification, acceptance, is a change of status, it is external to the moral character of the one justified, and justification consists in being pardoned by God and granted Christ's immaculate righteousness, with whatever change in status such a grant implies. However, in the case of this view of acceptance, the relation between justification and moral renewal, the relation between justification and conversion, is not so easy to discern. It is sometimes said that this external view of justification attributes self-deception to God. 'How can God see us as righteous if we are still just as rotten inside, but wearing Christ's robe of righteousness?' But when God sees a person to be righteous the righteousness which he sees has been reckoned to that person. It is what that person would have had had he possessed Christ's moral worth for himself. In justification, on this view, God reckons the justified as righteous, he counts them as righteous by imputation. They have the same legal status as if they had Christ's righteous character, for they are united to Christ and his righteousness is reckoned to them as part of that union. This relationship of union with Christ is of course without parallel in our legal systems. But there are analogies. If someone pays a guilty person's fine in order to have that person released from prison, and this payment is accepted, then the judicial authorities reckon it to be the payment of the guilty party, but they do not literally see the guilty party pay, nor see him being willing to pay, for there is nothing to see 'in' the person, for (as far as the law is concerned) he has not changed, except in his status. A second difficulty which John Hare (in The Moral Gap) finds in the external view is that it devalues the human response and makes problematic the necessity of faith for salvation. It is one aspect of this problem that I wish now to address. The forensic view consists of two claims: the first is that a person is justified by entering in a new relation, not by developing a new constitution. And the second is that for this justification to be enjoyed whatever it is that justifies must be personally appropriated by faith; faith is essential to the change of status being effected or enjoyed. To use (once more) the frequently-used legal analogy, it is as if the acquittal of a guilty person depended on that person recognising and appropriating that acquittal for there to be the acquittal. In our legal system, the acquittal and pardon of a dead person makes perfect sense, and so acquittal does not have to be personally appropriated for it to be a bona fide case of such. But there is no parallel sense in the case of justification, since justification is by faith alone. (I do not here go into the question of the justification of those who die in infancy). So the tension between the objective and the subjective aspects of justification is that raised by the need for a personal appropriation of a change which is otherwise wholly external. Suppose there were no need for a personal appropriation of justification as (I here hesitatingly suggest) is the case in some modern accounts of justification, as in Bultmann's perhaps, and Barth's, and Tillich's there is no need), then there would be no tension. And suppose that justification consists in inward renewal, or includes inward renewal, as in the internalist view considered earlier; again, there would be no tension. But there is a tension, or at least a prima facie tension, between justification considered as a forensic change, and the need personally to appropriate that change sola fide. It is this tension that I wish to explore a bit further. The tension arises because the faith that appropriates justification by trusting Christ for it, is itself the fruit of God's grace, union with Christ; indeed, using the conventional terminology, one might say that faith is a first element (at least in terms of conscious awareness) in subjective renewal, in sanctification. Faith is a virtue. The first element in this tension might be surmounted by making a distinction between senses of 'justification', between justification as an objective fact, secured by the death and resurrection of Jesus Christ, and justification as the personal appropriation of that fact. But the second element in the tension is harder to surmount. Francis Turretin has an interesting discussion of the issue in his Institutes of Elenctic Theology. The eighth question (and answer) of the sixteenth topic is, 'Does faith alone justify? We affirm against the Romanists'. The question, he says, is not whether declarative justification requires works. For it does. The question is not, either, whether faith alone justifies 'to the exclusion of the grace of God or the righteousness of Christ or the word and sacraments....but only to the exclusion of every other virtue and habit on our part. The question is not whether solitary faith (i.e., separated from the other virtues) justifies (which we grant could not easily be the case, since it is not even true and living faith); but whether it "alone" (sola) concurs to the act of justification (which we assert); as the eye alone sees, but not when torn out of the body. Thus the particle "alone" (sola) does not determine the subject, but the predicate (i.e., "faith only does not justify" (sola fides non justificat), but "faith justifies alone' (fides justificat sola). The coexistence of love in him who is justified is not denied; but its coefficiency or cooperation in justification is denied. The question is not whether the faith "which justifies" (quae justifiat) works by love (for otherwise it would not be living but dead); but rather the question is whether faith "by which it justifies" (qua justificat) or in the act itself of justification, is to be considered under such a relation (schesei) (which we deny). That is, Turretin is maintaining that the sentence 'Faith alone justifies' is ambiguous, or even perhaps downright misleading. For it may be thought to entail the proposition that faith justifies in virtue of its being alone; that it is in the solitariness of faith that its capacity to appropriate justification consists. But this would be false and misleading, according to Turretin, for it would sever the connection between faith and other virtues such as love. Rather the sentence should be taken to entail that it is faith which only justifies, in the sense that it and no other virtue justifies. So the 'only' or 'alone' must be taken not to modify 'faith' (the subject) but rather 'justifies', the predicate. He explains the point in more familiar terms and at greater length in VIII. 14. 4. Therefore it is possible that faith justifies alone. So maybe the great Reformation rallying cry of 'By faith alone' should be modified to 'Only by faith'. It certainly should be understood in this way according to Turretin. Faith does not contribute causally to justification, any more than does obedience. Faith is essentially, receptive, an acknowledgement, a recognition of what God in Christ has done, and in that sense the faith is the instrumental cause of justification, but being a cause in this sense can hardly be said to be equivalent to faith making a causal contribution to justification, as one of its grounds or its only ground. So whether or not faith is considered as a theological virtue, it is not because it is a habit or virtue that it justifies. It is in this way that Turretin (successfully to my mind) wards off the threat or charge of antinomianism or disorder raised against the externalist view of justification. First, the connection between doctrine and ethics: If a Christian is someone who has already been pardoned, and who has received, by imputation, the righteousness of Christ, then his moral activity primarily relates to what has happened, and hence the primary motivation for this moral activity relates essentially to what has happened, expressed in his belief that he has been justified, and not on something as yet future, on being moral in order to be justified. So on this view a theology of the Cross, as an account of what God has done fully and finally to secure justification, is essential. The fundamental structure of human motivation is gratitude and love to God on account of what has happened, and (as a consequence) devotion (in obedience) to the one who has accomplished it. In this understanding of word and spirit in conversion the 'word' is the preaching of Christ as the sole provider of forgiveness and of imputed righteousness. So there is a strong and obvious connection between theology and ethics, and the theology is shot through with trinitarianism. The divine Son is the gift of the divine Father, given as an atonement for many. The 'Spirit' is the Spirit's bringing of that person to faith in Christ. By contrast, on the first view of justification that we considered, the motivation for moral renovation and growth is that through it justification, acceptance, will be caused or completed or it is to strengthen those forces that will make justification happen. On the second view, motivation for moral renovation is because something has happened, once for all, acceptance with God has been achieved. In a word, the motivation for the one is fear and apprehension, for the other it is love and gratitude. Second, the relation between sin and consciousness. What about moral failure? According to the first view, moral failure is something that we must inevitably be conscious of, for it is the awareness of such failure which puts justification in peril, and such awareness of it triggers, or should trigger, renewed effort to reinstate those virtuous states on which it depends. A person in this position may justifiably reason 'If I do not live appropriately, I will not be accepted'. Failure sets the process of acceptance back, it makes it that much harder to attain. This is why, ultimately, the fact of Christ is of only contingent importance to conversion if Christ is merely an exemplar of virtue. This is presumably why S.T. Coleridge said of Jeremy Taylor's theology that 'Socinianism is as inevitable a deduction from Taylor's scheme as Deism or Atheism is from Socinianism'. Since there is no need for Christ's atonement, the divinity of Christ is accidental to the scheme of things. Human sin and need is understood in terms of the elimination of conscious transgression. Allied with this, there is usually confidence in a person's ability to act in fulfilment of duty in a way which secures acceptance. Forgiveness, or acceptance, is therefore conditional. Where a person has deep concerns about divine acceptance, the moralistic view is harsh; where such concerns are less deep or are absent, on such a view the Christian religion becomes a more or less easy moralism, continuous at most points with a secular moral outlook and with secular moral endeavours. We might put the point in this way. On the first, moralistic view, ethics is primarily an ethics of self-control, even of repression. Religion achieves its aim if our conscious motives and our manners are reformed. This is understandable, if what sin is is primarily a conscious breach of the divine law. On the second view, no transgression can put actual acceptance in peril because awareness of failure triggers penitence and a renewal of faith in Christ and obedience to him. For when he fails, the transgressor seeks pardon from his Father, being thus reminded of his status. In addition, this view may recognise that there is more to sin or moral failure than conscious failure. Sin is something deeper, it is alienation, it reaches beyond what we are aware of, even beyond what we can be aware of, situations of omission and transgression, to secret inner drives and motives. Moral failure is a deeper, more mysterious, more sinister thing than what can be consciously identified as moral failure It involves ignorance of our motives and a recognition of our capacity systematically to deceive ourselves. Chief among the ravages of in, on this view, is the break-up of the self, of its wholeness, its wholesomeness, and with that break-up arises the unconscious suppression of parts of the inner life, as is evidenced in the mismatch between what we want and what we want to want, and by the capacity for self-deception which is ever renewing itself. 'We have deceived ourselves, and the truth is not in us'. 'Cleanse thou me from secret faults.' 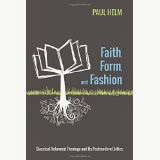 What if sin produces expertise in fashioning idols of the mind? Then efforts at self-control, however much they may draw their inspiration from the example of Christ, are likely to be repressive. So, on the evangelical view, the role of the word in conversion is not primarily to provide moral inspiration to overcome conscious failure, but it is a call to change, to metanoia, the recognition of God's love and forgiveness in Christ as a motive to obedience. And moral failure, whether it has its roots in conscious disobedience, or in a set of unconscious drives, may be recognised and the fact that such failure is already forgiven may be recognised as well. So, I argue, there are important logical and psychological differences in an understanding of conversion arising from different theologies of justification. The logical difference is simply that between what is conditional and what is unconditional. On the classic evangelical view, both acceptance and moral renovation are a consequence of union with Christ, the one is not a condition of the other, and certainly moral renewal is not a condition of acceptance. The psychological difference is that the first view of acceptance operates only at the level of conscious failure, and its legalistic and moralistic implications are potentially repressive. The stance of someone who loves God much because she has been forgiven much, is very different from that of someone who loves in order to be accepted. And so the 'spiritual theology' arising from these two sorts of cases is likely to be very different as well. On the basis of the above analysis, it will be clear that there exist real differences between Protestants and Roman Catholics over the matter of justification. The question remains, however, as to the significance of these differences. How important, for example, is the distinction between an alien and an intrinsic justifying righteousness? In recent years, there appears to be an increasing sympathy for the view that these differences, although important at the Reformation period, no longer possess the significance they once had. *Thanks are due to Tony Lane without whose help the paper would have been much less clear.